Thanks for all your input. 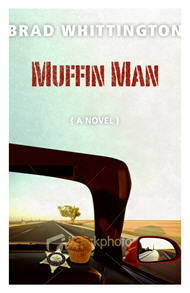 Here's the final cover art for Muffin Man. Just a month away from release, peoples! 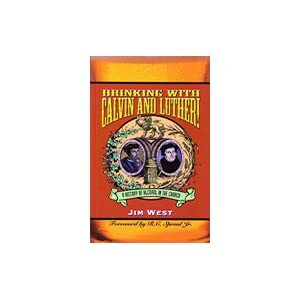 I've been looking for a credible history of the attitude of the church toward drinking and this is probably as close as it's going to get. It starts with the reformation, assuming that up till then the Catholics were in charge and obviously in favor of drinking. However, I read some quotes in other books dated from the 4th century which indicate that there were abstainers and prohibitionists from early on, so the dark ages are still in doubt. All that aside, it appears that Protestant denominations took a turn toward teetotalism in the mid 19th century. Before then things weren't quite so extreme. In fact, I learned that bourbon was invented by a Baptist preacher from Kentucky, Elijah Craig! (It's pretty good stuff, too.) Rev. Craig was in his thirties during the Revolutionary War. He was ordained a Baptist preacher in 1771 and in 1789 founded a distillery. It's an interesting book, primarly devoted to stories of theologians beginning with Martin Luther. 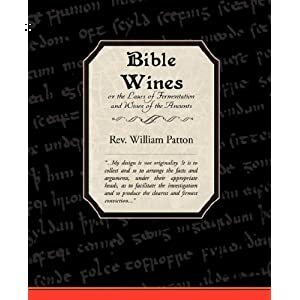 The section devoted to analysis of the verses makes some good points, but lack the obsessive deep-dive into the languages characterized by Patton's work. Publishers send an ARC (advance reader copy) to reviewers and potential endorsers before the release of the book so the reviews and endorsements are ready for the release. The ARC is not the final novel. 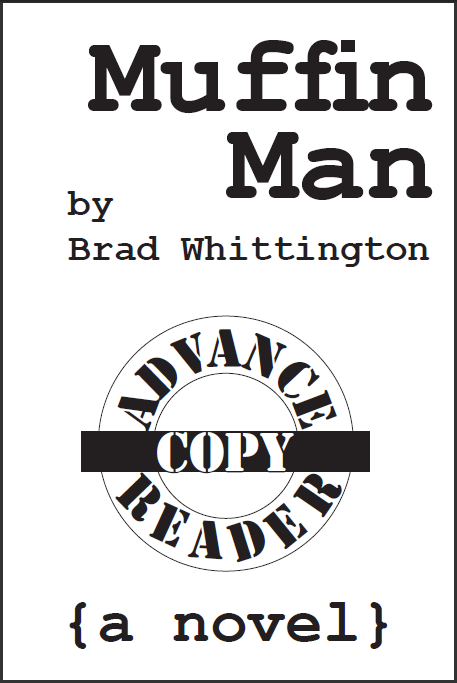 It's not copy edited and doesn't have the front and back matter or the final cover. A few weeks ago I found two potential endorsers. They are great writers and voracious readers, so I figured on sending an ebook version. Nope, they're both old-school. Paper copies. I can appreciate that, but that means printing out copies and mailing them. I thought about doing them at home on the office printer. Then I thought about going to Kinkos to have them printed and spiral bound. Then it hit me. I'm going to have to do the interior design anyway, why not use Createspace to make an ARC? They could read a real paperback. But that meant I needed a cover. Me, the writer, not the graphic designer. I could have gone with the draft version of the cover I got from my graphic artist, but I wanted to make it very clear that this is an ARC, not a released novel, so I chose to design my own cover. As you can see, there's a good reason I don't do my own covers for the final product. One detail I should have covered and, and one that is very important in marketing books, is viewing the covers in the sizes they will appear on online sales channels. The art may look good on the book, but if it doesn't grab the shopper at pixel sizes 56 x 86, 85 x 115, and 190 x 260. The middle size is particularly important as it is displayed it the list of hits. This one won the Edgar award for Lansdale. The usual disclaimer applies, not as much as a Hap and Leonard book, but more than A Fine Dark Line. The story of a serial killer in 1934 East Texas back before the term was invented, told through the eyes of a pre-teen son of the constable. The voice is perfect and the writing and characters are prime Lansdale material. I felt it moved a bit slow for a thriller, with the investigation moving in fits and starts as circumstance advanced it. It came to a complete stop when Grandma showed up, and again when the father escaped in a bottle. 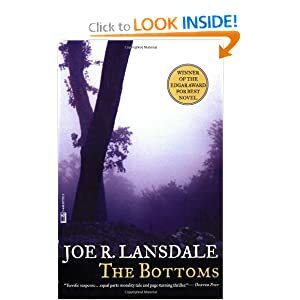 Normally, the hero would advance the plot, but the protagnist is a pre-teen kid who can't really advance the plot of a multiple murder investigation and the investigator is a backwoods constable with know training, experience or knowledge in how to investigate. Consequently, happenstance is the main engine to move things forward, which is not as satisfying as a pro-active protagonist. I guessed the killer early on, but the writing was strong enough to carry the story even so. 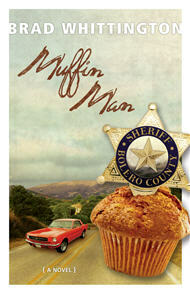 Interesting that the book won the Edgar, as I wouldn't have thought of it as a potential winner. 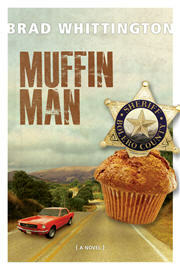 Maybe I should consider submitting Muffin Man. "My reasonings are conducted in candor, and with due respect to those from whom I am constrained to differ. Their views are carefully stated in their own chosen language, and their quoted authorities are fairly given. When their relevancy is questioned or their inferences shown to be illogical, no suspicion of motives has been allowed. Truth gains nothing by asperities." Despite the fact that this book is older than all the others I read by over 100 years, it was the most compelling for the case of abstinence. It's not easy to read, but I recommend for anyone who wants to dig deep in this subject. I'm not completely convinced, but this honest and respectful approach is far, far better than the snarky arguments of 21st century writers. 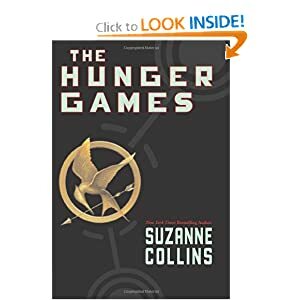 I've seen all the hype about Hunger Games for the past few years, but I tend to discount hype and I had plenty of things I needed to read, so I didn't bother to check it out. But I saw the trailer for the movie and thought perhaps I should check it out before the movie came out. I saw it was under $6 on the Kindle, so I grabbed it and read it in a weak moment. Wow. That's all I can say. Wow. This is a rare case of the hype being justified. I guess I can say a little more, but Wow. The writing is good from the start, but when the games begin it becomes almost impossible to put this thing down. And the final battle in the games, holy freaking cow! I understand this to be a YA book, but man is it gnarly. I'm not a fan of movie violence, so who knows if I'll do the movie or not. Probably. We shall see. Bottom line: Worth the read. ***Spoiler alert***: There was one thing that bothered me about this book: How the protagonist doesn't snap to the fact that the romantic interest from the other tribute is sincere. It took her way to long to realize he was legit. The ebook version was flawless. Didn't see a single typo, formatting issue or navigation problem. I can't rate the next/last chapter navigation from the 5-way navigation pad because I upgraded to the Kindle Touch, which doesn't have any buttons. I kind of miss being able to skip forward or backward a chapter, and I miss being able to change the orientation to landscape, but other than that, love the Touch. These books are starting to wear on me. That's the danger of reading books by preachers. They have no interest or experience in expressing an idea with an economy of words. In addition, this book needs a good going over for organization. It seemed to be a list of vignettes thrown down as Reynolds thought of them in random order, which made it more difficult to build a solid understanding of the larger picture. "God left a number of things somewhat difficult to perceive as a test of spiritual perception of Bible readers. [Section about Jesus being the Messiah.] In the same way God may have left His true teaching concerning alcoholic beverages with what the undiscerning find to be ambiguities. This may have been with the view of separating the spritually perceptive (those whose ears are attuned to the true testimony of the Holy Spirit) from those whose perceptions are made dull by some sin which they cherish. Such a separation of those who take advantage of paradoxes in order to indulge their fleshly appetites may be used by God in judging man." "He may have left the teaching concerning the command to total abstinence somewhat obscure as a test to determine who among those who profess to believe in Him would discern His true meaning. Some, understanding that alcoholic beverages are a Christian liberty, overindulge themselves to the point of total ruin; others become soft and flabby in their Christian warfare; others who are teachers of religion mar their record by giving the people who follow them bad instruction. In the end God accomplishes His purpose of sorting wheat from chaff, and in grading how much each servant made from his talent, or talents." God uses intentional ambiguity on the subject of alcohol to separate the wheat (saints) from the chaff (damned)? This gets even more absurd when, as we see later, that even people who agree on total abstinence disagree on the meaning of specific uses of the original language. And notice the repeated use of "may" in both passages, which leads me to the next complaint. While these books frequently make good points, many of them don't seem content to leave it at that, but seem compelled to descend into speculation to drive the point home. For example, regarding the miracle at Cana, Reynolds speculates that Jesus and Mary arrived late, and that unlike Mary, Jesus perceived that the crowd was drunk. He says this explains why Jesus reacted with outrage when Mary suggested he help out the steward with his wine problem. He also speculates that Jesus left quickly after creating 180 gallons of grape juice because he wouldn't hang out around drunk people. Honestly, how can you take a book seriously when the author just makes up crap out of whole cloth and presents it straight-faced alongside serious research into the original languages? It destroys any credibility that might be left after the "God is jerking you around" statement. I readily admit in WWJD that I'm no Biblical scholar and can't research back to the original languages. However, Bacchiocchi and Reynolds are Biblical scholars, so I paid attention to their exposition on the original words. I learned that there are two Hebrew words translated to wine in the OT, tirosh and yayin and one word in the NT, oinos. There one word translated to strong drink, shekar. From Bacchiocchi I learned that tirosh always means grape juice. This was foundational to his position. On the other hand yayin and oinos sometimes mean grape juice and sometimes wine, depending on the context. And shakar always means fermented drink, except in one passage where it would be inconvenient if that were the case, so in that passage it means grape juice. He goes to great lengths and many pages to talk his way around this one exception, even though it seemed to me, the complete doofus in Hebrew I admit, that it was more handwaving than substance. On the other hand, from Reynolds I learned that all of the words, tirosh included, can mean either wine or grape juice. The fact that tirosh could swing either way was very important to his point. So I'm left thinking, if these two scholars can't figure it out, what hope do I have of coming to a solid conclusion based on the original languages? Is God really going to judge whether I'm wheat or chaff based on whether I figure out what these two scholars can't agree on? 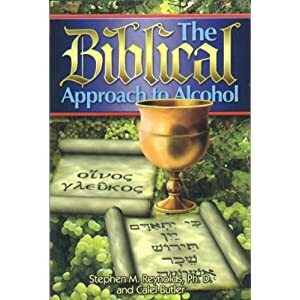 We will search the original language to see what is the attitude of the Bible toward drinking fermented (alcoholic) drinks. In the original language, tirosh always means grape juice (or doesn't necessarily, if you're Reynolds) and always is used in positive references. In the original language, yayin sometimes means wine and sometimes grape juice. You can tell which by the context. If it's a negative reference, yayin means wine. If it's a positive reference, yayin means grape juice. You see the problem here? In step three we have the problem of deciding which references mean wine. We solve that problem by assuming that if the reference is negative, it means wine. 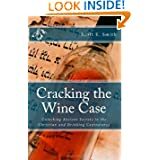 But that is begging the question, assuming the thing we're trying discover, which is what is the attitude of the Bible toward wine. So the exercise is completely useless. Overall, there were some diverting sections, but much of the book was less than helpful. And, like Bacchiocchi, Reynolds takes a lot of space to talk about medical implications and social issues and several other things that have nothing to do with the scriptural position.